With the whirlwind 2018 U.S. Midterms now behind us, the expected furor of cable-news punditry has materialized. 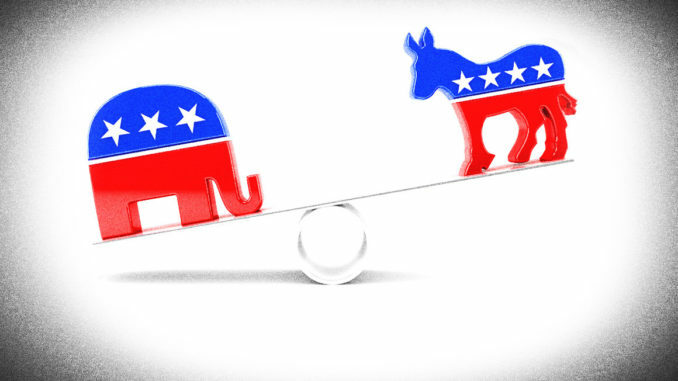 With members of both parties giving their own spin, what, if any, conclusions can we draw from the election results? To be sure, Democrats went into this election season on offense. History was simply on their side: the presidential party has lost seats in 26 of the 29 midterms held since 1900. And this makes sense. With every single member of the U.S. House of Representatives up for reelection every two years, changes in public opinion, and dissatisfaction with the party in power, can lead to drastic swings in control of the chamber. On the flip side, it’s difficult to overstate just how difficult it was going to be for Democrats to win back the U.S. Senate, even with Republicans holding only a slim 51-49 majority. Of the 35 seats in play, only 9 were held by (or vacated by) a Republican. And of these, only one was held by a Republican in a state that Clinton won in 2016 (Dean Heller of Nevada). Of the Democrats up for reelection, however, a whopping 10 were from states that Trump won in 2016. 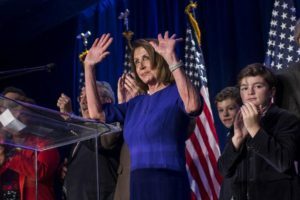 On election night, early results quickly pointed to a Democratic House victory and Republican Senate hold, as most serious analysts had predicted. In the House, my impression is that above all else, President Trump was the common denominator in the Republican downfall. That seems simplistic, because of course all presidents have to face the voters’ wrath in the midterms. But Trump has accelerated a realignment of political values that has brought white, working-class voters into the Republican fold, while alienating the college-educated voters in the suburbs that used to form the backbone of Republican-leaning congressional districts. As of this writing, of the 25 most college-educated districts that Republicans represented, Democrats have won 15 of those seats. And when we consider that the economy is currently doing quite well in the aggregate, Republican losses are magnified still: JP Morgan’s Michael Cembalest argues that when 2018 losses are adjusted for economic conditions, the 2018 midterms could be considered the worst performance for a president’s party since 1918. Apparently presidential tweets do matter, even in the face of relative U.S. prosperity. But Democrats shouldn’t sleep too well. The New York Times points out that Democrats made few inroads in the most conservative districts, and their wins were often extremely narrow where they did prevail. Those same districts will be hard to hold in the 2020 presidential election when turnout is higher, and partisan polarization all the more pressing. And with Republicans still at the wheel in the Senate, Majority Leader McConnell will be able to keep churning out votes for Trump judicial nominees. Turning to the Senate, a few Trump-state Democrats lost fairly convincingly (namely Donnelly in Indiana, Heitkamp in North Dakota, and McCaskill in Missouri). In other close races, superior Democratic candidates were able to outlast their less-polished Republican rivals: Jon Tester was able, once again, to rely on his authenticity to win over just enough crossover voters to best the perceived carpetbagger Matt Rosendale in Montana; In West Virginia, Democrat Joe Manchin, who has been a fixture in state politics for years, drew a poor candidate who had been battered in the Republican primary, and was able to rely on his conservative-leaning record to come out on top. I suspect that Manchin’s vote in favor of Supreme Court nominee Brett Kavanaugh might have clinched his win; the no votes from Heitkamp, McCaskill and Donnelly may have likewise taken the wind out of their sails. In Nevada, a state that has been trending blue for a couple of election cycles, Republican Dean Heller lost to a political novice, Jacky Rosen, in a state that Hillary Clinton won in 2016. Heller faced an electorate that viewed him as a Trump surrogate, and would not reward him with reelection. In Arizona, Martha McSally also seems to have turned off many voters when she so wholeheartedly embraced President Trump during the Republican primary. Democrat Kyrsten Sinema, on the other hand, ran unopposed and spent months perfecting her message. One of the most conservative Democrats in the U.S. House, Sinema prides herself on forging working relationships with Republicans. Even with her rather liberal past as a Green Party operative, Sinema appears to have convinced voters that she is sincere in her hope to transcend party labels and find common ground on pressing issues. Ultimately, Sinema’s win was slim, and might not even crack the 50 percent mark. But she performed well in the GOP stronghold of Maricopa County, apparently convincing just enough suburban Republicans to bet on her to be a check on President Trump without voting as a progressive ideologue in the mold of other Democratic figures (i.e., Elizabeth Warren). In contrast, current Arizona Governor Doug Ducey won reelection by a huge margin against unabashed progressive David Garcia. Ducey is the consummate business-friendly Republican who avoids controversial social issues, and voters arguably saw him as the less polarizing voice in the Governor’s race. My sense is that Arizona is still a fundamentally center-right state, and that if Hillary Clinton were president, the state wouldn’t even be in play. But with the realigning force of President Trump, Arizona voters are now willing to put a check on those who have embraced the Trump ascent. This same political realignment that has harmed Republicans in suburbia is what ultimately caused voters to oust several Democratic incumbents in the Senate in states that approved more wholeheartedly of the President. These gains were limited, however (Trump won Pennsylvania, Ohio and Wisconsin in 2016, but Republicans had little hope in ousting Democratic Senate incumbents in those states). What should trouble Trump the most, then, is the fading loyalty of voters who held their nose to vote for him in 2016, but are unenthused by the continued turmoil that they perceive from the Trump White House, conservative policy victories aside.